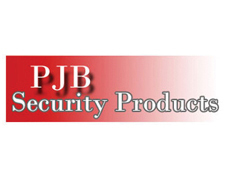 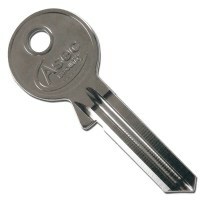 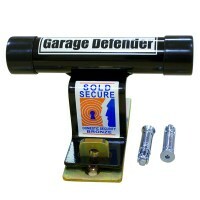 Garage door defender from PJB Security Products restricts opening of an up and over garage door. 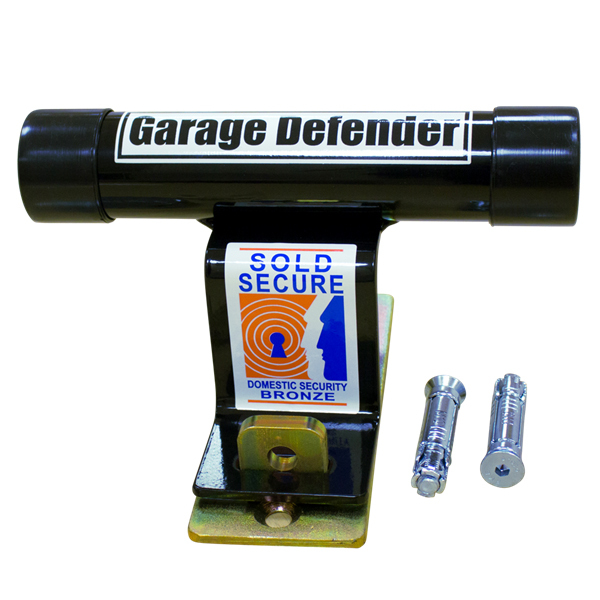 Supplied plate is secured to the ground outside garage door with ground bolts, the green defender is then attached to the plate by padlock thus restricting a garage door from opening. 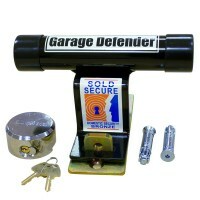 Garage defender kit can be supplied with or without round body, protected shackle padlock.